It has been such a pleasure to meander through the hallways of WordPress. Each doorway opens into a new and fascinating experience. When I first started blogging it felt very vulnerable yet boastful. Who am I to post my photos? Who wants to read what I have to say? It all seemed very self-important. Then I realized no one was really reading my posts or looking at my photos so what did I have to worry about? It was all fits and starts at first, but then I found community here. I have never received a disparaging comment. Instead it is collection of people much like me, working things out on the screen; photo techniques, writing styles, and yes revealing pieces of ourselves in tiny bits lest we have to retract back into our hard candy shells. It is, by far, my preferred form of social media. 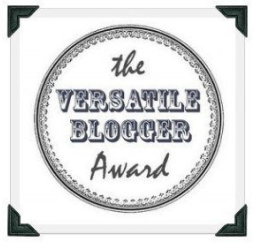 So when Ruth at Mad Meandering Me, nominated me for the Versatile Blogger Award I was very touched. And confused. After a few questions and some research I figured some of this award stuff out. This one is peer to peer, another way of us appreciating each other. How lovely is that? So I humbly accept and can’t wait to share some of my favorite bloggers with all of you. 1. I was born in Washington DC with the lens part of the camera in my face. My father was a graphic designer and photo hobbyist. We had a black and white dark room in our home, so naturally when I was old enough my first Canon was handed down to me. I picked it up and put it down many times throughout my life. It’s up again – a newer variety, but still Canon – and I’m loving it. 2. I have always loved to write. When I was about 9 I sailed the inland waterway with my grandparents from Annapolis to Miami. There wasn’t much else to do but write. Like photography though, I let it go. Then a few years ago, I rediscovered it like an old friend. Now, I’m pursuing it with more sincerity and seriousness. And like photography, it feels great to be back at it. My other blog www.EnchantedLivingPlaybook.com has more writing, less photography. 3. I am a Gemini and rarely satisfied with one vocation or avocation. Hence numbers 1 and 2. And, oh yeah, 5 and 6. And maybe 7 a little. 4. I lived with my husband for 16 years before marrying him. Time just sort of got away from us. 5. I LOVE to travel. There aren’t too many places I wouldn’t explore. I have been to India twice in the last two years and I’m already making plans for next year. It speaks to my heart. 6. I own a yoga studio. I’m still not sure how that happened, but it has been quite a gift. I have studied yoga, it’s philosophy, intently for the past 6 years and it teaches me something every day. 7. If I could make up my dream job it would be traveling to amazing countries, getting lost in tiny, little-known towns, while photographing all the beauty and realness around me, talking to locals and writing about it. You, know, like this blog, only paid. Or maybe sponsored. I’m open! These bloggers keep me entertained and inspired. If, for any reason, you, the nominated blogger, would not like to participate, I completely understand. Just know how much I enjoy following your posts and appreciate your contributions. I realize I’m a little shy of the 10 mark, but what I lack in quantity, I think I make up for in quality. Enjoy! And thank you Ruth! I like all 7 things. I can totally relate to the picking up and putting down of the camera over the years. I had a period of about 4 to 5 years when I consciously did not want to take photos. That seems inconceivable now, having recorded a lifetime of events, and I don’t even really remember why !